Worried that a robot will one day take your job? Don't fear says a senior politician who is urging people to "embrace an android". If machines can take over routine tasks, deputy Labour leader Tom Watson believes, it will liberate people to focus on areas generating more wealth. If properly regulated, he says the growth of automation could create as many jobs as it will eliminate"
"I suppose what I am really saying is - robots can set us free." A report earlier this year suggested 30% of British jobs could be threatened by automation by 2030, compared with 38% in the US and 21% in Japan, with manufacturing and retail at the greatest risk. But Mr Watson, who is also Labour's culture spokesman, said he was much more optimistic that technological change could be a force for economic and social good. 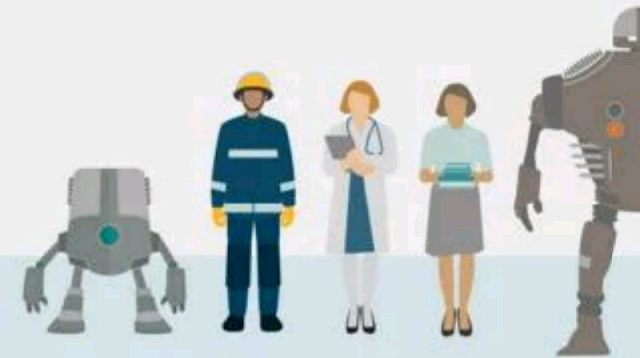 Speaking at the launch of a new report into the future of work in the 21st Century, he urged people to focus on the upside of automation and artificial intelligence and - echoing the hug-a-hoodie phrase associated with David Cameron - "embrace an android". "Our report found that the most apocalyptic predictions about the impact automation will have on jobs are far too pessimistic," he said. "We believe automation and artificial intelligence can, with the right policy framework around it, create as many jobs as it destroys." "If the heavy lifting and routine tasks of the future can be carried out by 21st century machines then the workforce of the future will be free to focus on activities that generate greater economic benefits for a greater number of people. That is liberating". Labour leader Jeremy Corbyn has taken a more circumspect approach than his deputy to the power of robots, warning earlier this year that new technology had led to "a more rapacious and exploitative form of capitalism" and that machines should be controlled by workers not bosses. Monday's Future of Work Commission report, which has been championed by Mr Watson but is not official party policy, said spending on research & development and innovation should be increased to 3.5% of national income each year and there should be tax breaks for firms investing in new areas. But it also said workers in the gig economy needed extra protections through a Charter for Good Work. And it also urged moving towards a single category of worker to ensure the self-employed and casual staff are not discriminated against. In a famous speech in 2006 shortly after he became Tory leader, David Cameron said teenagers wearing hoodies were often misunderstood and their actions were "more defensive and offensive". It subsequently became known as the "hug-a-hoodie" speech even though he had not used the actual words - while the metaphor was extended to include "hug-a-husky" after he visited the Arctic.